Delurk Gallery proudly welcomes legendary artist DEREK HESS! 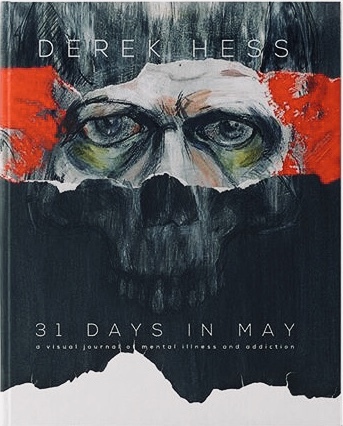 Derek will be hitting the road in May to sign his new book ‘31 Days in May’ : a visual journal of mental illness and addiction. Friday, May 11th Derek will be at Delurk screening his award winning documentary “Forced Perspective”, followed by a Q&A with a book signing. We’re super excited and hope to see you there. Stay tuned for more details.